Want to open a Sunflower Oil Production Unit Plant to making edible oil by yourself? 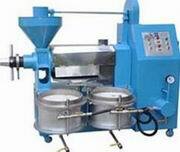 You can process various kinds of sunflower seeds, both black or white. you can choose to start from a small scale sunflower oil factory to extract oil for cooking purpose. When you are familiar with the oil extraction process and technilogy, you can enlarge the scale of your Sunflower Oil Production Unit with much higher capacity, at this time you are able to send or sell the no added healthy oils to your neighbors or the small country for commercial purpose. 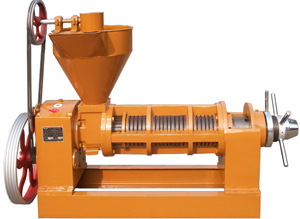 Our series automatic temperature controlled combined spiral oil press is suitable for the squeezing vegetable oil from rapeseed, cotton seed, soybean, corn, sesame seeds, shelled peanut, flax seed, coconut, cacao, jatropha, sunflower seed and palm kernel, etc. You need only low investment, high oil output, strong compatibility and high efficiency. 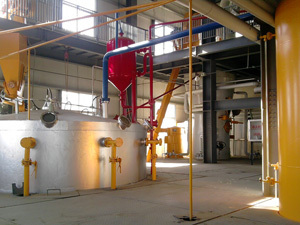 It has been widely used in small oil refinery and rural enterprise. 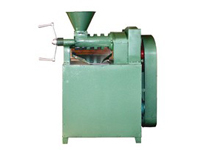 This series combined oil press is new product which developed on the past single machine and considering the market demands of sunflower oil production plant. 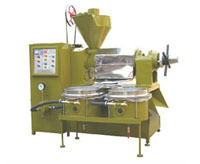 It has strengthen the function of frying and automatic controlled temperature, which has changed the traditional way for increasing dry cake’s temperature, therefore it reduced the working time, and also reduced the waste of power and consumption of machine, otherwise it has lengthened the service life of the machine. If working process is interrupted, the squeeze chest can keep on certain temperature automatically. At the same time this machine also has increased the use function and improved the automatization, changes the single oil press into combined oil press with frying, squeeze, and filtration. The oil plants feed into the squeeze chest directly after it has been fried and the grease squeezed out will be filtered in the vacuum filter. The vacuum filter has the character of light weight, convenient operation, quick filtration, etc. This model oil press has many advantages as the compact structure, small ground requiring, save a lot of working time, and it is suitable for small and medium scale plants processing factory.